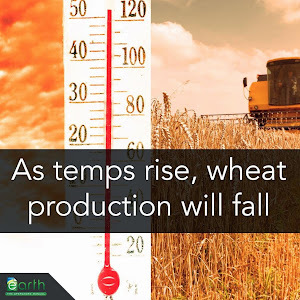 This one's for the “plants will grow better with more C02” crowd: A new study finds that wheat production will likely fall by 6% for every 1 °C increase in global temperatures. 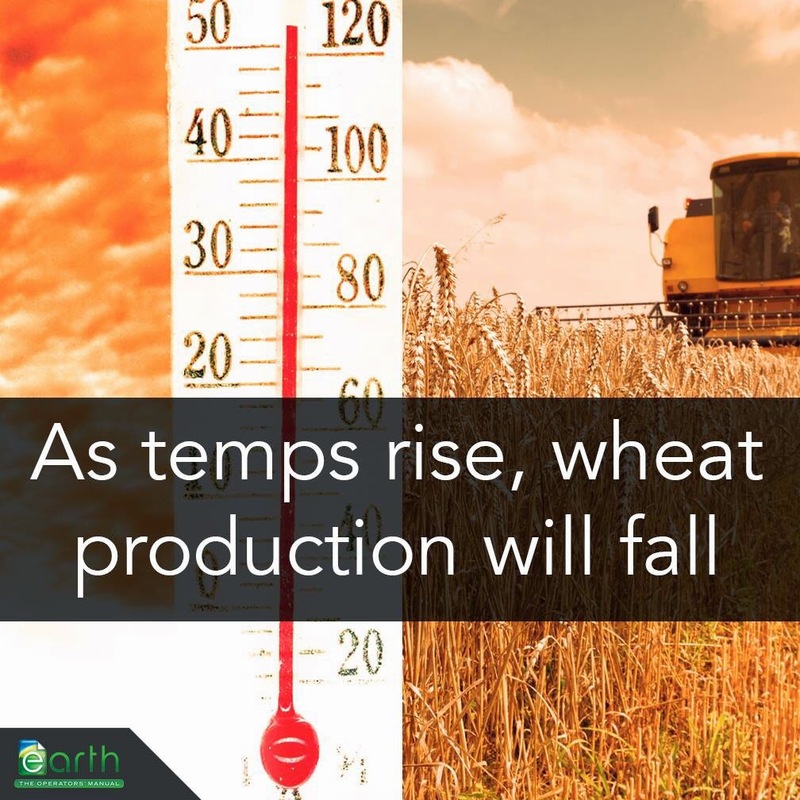 Wheat is one of the most important food crops in the world, and we'd be smart to keep it happy. In the five years since the discovery of the Tamar and Leviathan natural gas fields off the coast of Israel, the Israeli energy discourse has focused on questions like what to do with the gas, how much of it to export and to whom, and what the fairest distribution of profits would be among the gas partners, headed by Noble Energy and Delek Energy, and the Israeli public. But after years of delays and billions of dollars spent, a new and increasingly likely scenario should be considered – the premature – and tragic – death of the Israeli gas dream. I alluded to this option in an August 2013 article titled “Israel's Zero Gas Game” in which I warned that Israel has become so busy dividing the pie that its leaders forgot it must first be baked and that due to the failure of the government to present a clear vision for the country's energy sector, articulate the rights and responsibilities of foreign investors and most importantly set rules and stick to them, “the gas will be left in the ground and the startup nation will be more worthy of the title 'shutdown nation'.” Perhaps that sounded crazy at the time. Today, with the decision of the Israeli Anti-Trust Authority to revoke an arrangement permitting Noble-Delek partners to develop Leviathan, declaring them a cartel – a move that will require the separation of Leviathan from Tamar and the sale of Leviathan to a new partnership, effectively postponing the development of Leviathan indefinitely – the scenario of “zero gas” – and perhaps even the withdrawal of Noble from Israel altogether – should be considered seriously. In deciding to enter Israel Noble has taken a huge financial, regulatory and geopolitical risk. However, the size of the discoveries, the potential of finding oil under the gas layers and the doubling of the company's market capitalization made the move easy to justify to its shareholders. But the Texas company, the only international energy company that was willing to set foot in Israel, was welcomed with no red carpet. Instead it was ushered through a Via Dolorosa of bureaucratic torture which eliminated any chance for gas production before the end of 2018 – ten years from the beginning of exploration. A ten year lead time from discovery to production is a lot to ask of a publicly traded company which has to satisfy quarterly thinking and profit hungry shareholders. But in light of Noble's recent stock performance, dropping from $80 in the summer to $50 today, the decision of the Israeli government provides an impetus to the company's leadership, not to mention the new CEO David Stover, to reconsider the commitment to Israel and begin to seek greener pastures. There are very few oil and gas companies who have both the experience of drilling in deep waters and the willingness to associate themselves with Israel, especially in light of Noble's experience. The Israeli government's ruling has huge implications for the future of the region as it means that at best the supply of gas from Leviathan will be delayed into the 2020s. At worst it will not happen at all. The government's concern about a gas monopoly is a legitimate one, especially during an election campaign when issues of cost of living dominate the local political discourse. But its hopes that the hot potato called Leviathan can somehow be sold to new partners require a lot of faith. There are many people with money who may be tempted to buy into a partnership in a 22 trillion cubic feet (tcf) field, but owning a stake in a gas field without an operator at hand is like owning a gold mine on the moon. There are very few oil and gas companies who have both the experience of drilling in deep waters and the willingness to associate themselves with Israel, especially in light of Noble's experience. With falling energy prices worldwide, the chance of a Noble-like operator popping out of nowhere is slim. This means that in its desire to avoid the creation of a monopoly, Israel is taking the risk that Leviathan, the world's largest offshore gas discovery of the past decade, will not be developed for many years to come – if ever. The losers will first and foremost be the Israeli people who will lose not only billions of dollars in tax revenue and the main engine of growth of their economy but also the prospects of securing their energy supply for generations. The scenario is equally bad for Jordan, Egypt and the Palestinian Authority who are counting on Leviathan gas for their economic well-being and which have all signed letters of intent to buy Israeli gas despite local opposition from their respective Israel-hating Islamists. Europe will also be a casualty since a portion of Leviathan was aimed for two LNG terminals in Egypt from where it would have been shipped to European countries aspiring to become less dependent on Russia's gas. Other than the handful of lawyers who will earn millions litigating the dispute between Noble and the Israeli government in international courts, the biggest winner will be Cyprus. In December 2011 Noble announced the discovery of 7 tcf in a field northwest of Leviathan called Aphrodite (block 12). Other blocks have been opened for bids since attracting interest from a handful of large oil and gas companies including Total of France, Kogas of South Korea, ENI of Italy and Petronas of Malaysia. But with all eyes on Leviathan, Cyprus became an uninteresting side show. This may soon change. Cyprus may not be a paragon of regulatory stability and certainly not an investors' haven and its tense relations with Turkey pose some geopolitical risk, but the fatigue from Israel's energy shenanigans could bring about a shift from Israel to Cyprus as the new center of gravity in the East Mediterranean energy play. Palestinian landowners have waited too many years for Israeli wheels of justice to turn. It is impossible to overstate the significance of the High Court of Justice ruling ordering the state to demolish within two years the Amona illegal outpost, which was built on private Palestinian land. After years of evasion, legal tricks, forged documents and unfulfilled pledges, even the High Court came to realize that the state cannot be trusted, not to mention the settlers, to voluntarily agree to return the land they plundered from their owners. Amona was born in sin in 1997, when a group of settlers established residence in an area that had been earmarked for an archaeological site and a Mekorot Water Company reservoir. Cease and desist orders issued by Civil Administration inspectors in 2004 halted building for four years, but it resumed in force despite new stop-work orders. In 2006, after the High Court ordered the demolition of Amona’s permanent structures, the settlers made clear that they were not bound by the court’s authority and they turned the “battle for Amona” into a national event in which they violently confronted the police. 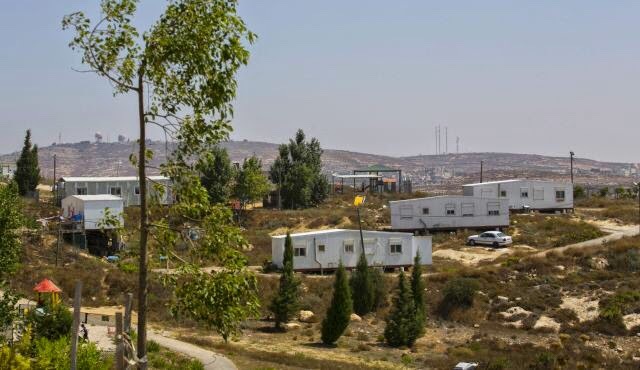 If there was no alternative to demolition, they would make Amona a “national trauma” that would threaten any future plans to evacuate outposts or settlements. Even now, after the High Court ruling, the settler leaders are adamant: “We swear today to fight this with all our might,” Amona spokesman Avihai Boaron said. This is nothing but a continuation of the settlers’ common view that the state and its institutions are their servants, and when they do not fulfill their mission they must be fought. Particularly infuriating is the idea that “the left-wing government and the High Court are leading the country”; That is, in the struggle between land theft and the law, the High Court is not only a legal and ideological enemy but it also violates the political reality in which the right wing is in control. That perception is no less distorted and dangerous than the settlers’ position that the theft of Palestinian land is part of the Redemption. 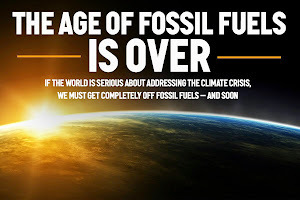 One theme that is emerging loud and clear from the UN Climate Talks (much more so than any other previous negotiation) – if the world is serious about addressing the climate crisis, we must get off fossil fuels— completely. 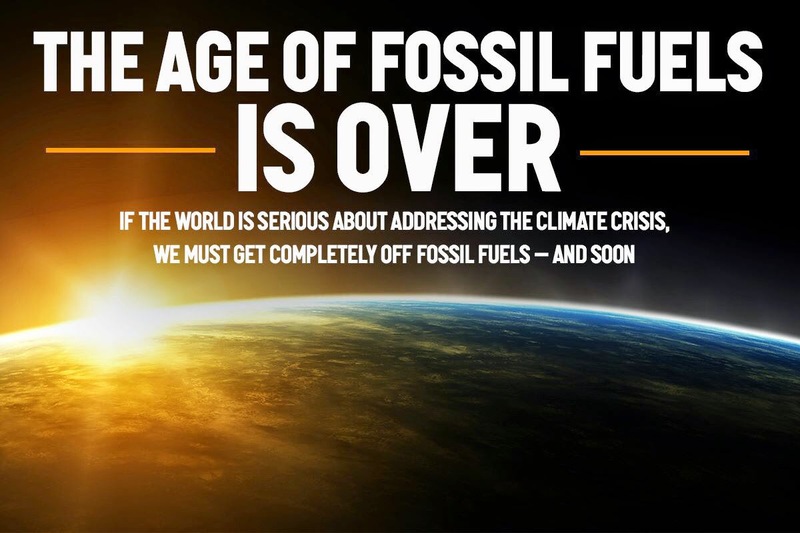 We can't just leave it up to governments, will you be a part of creating the solution we need? “The destruction which I have seen coming here is beyond description,” said UN secretary-general, Ban Ki Moon, after his October tour of the Gaza Strip. Operation Protective Edge, Israel’s military incursion into Gaza this past summer, wrought an unprecedented level of devastation on the tiny strip of land inhabited by 1.8 million people. The operation had damaged or destroyed over 100,000 homes, affecting more than 600,000 Palestinians – a third of the population. “Basically the town is unliveable,” said Mayor Mohammed al-Kafarna about Beit Hanoun. “There is no power, water or communications. There are not basics for life.” One major sewage pipe serving nearly half a million people had been severed, sending huge quantities of raw sewage into the sea and on fields. “The only durable solution,” wrote Martin Sherman in the Jerusalem Post during the summer onslaught, “requires dismantling Gaza, humanitarian relocation of the non-belligerent Arab population, and extension of Israeli sovereignty over the region”: a recipe for ethnic cleansing and colonisation. He complained that the elected Israeli government is constrained by an unelected “left-wing” political discourse wedded to “the two-state concept and the land-for-peace doctrine,” both of which must be rejected. Sherman is no pariah. On the contrary, his ideas increasingly represent the thinking of senior Israeli cabinet officials. As founding director of the Israel Institute for Strategic Studies (IISS), an initiative dedicated to laying “the foundations of a new assertive Zionist-compliant paradigm,” Sherman’s platform is endorsed by the following key Israeli leaders: Yaakov Amidror, Israel’s national security adviser until 2013; Uzi Landau, minister of tourism and ex-minister for energy; and Moshe Ya’alon, vice prime minister and incumbent defence minister. His successor, Yossi Cohen, who presided with Ya’alon over Operation Protective Edge and who has previously served as deputy head of Shin Bet (Israel’s domestic security agency), told Israeli Army Radio that the operation had successfully created conditions that would facilitate the Palestinian Authority’s (PA) return to power in Gaza at Hamas’ expense. 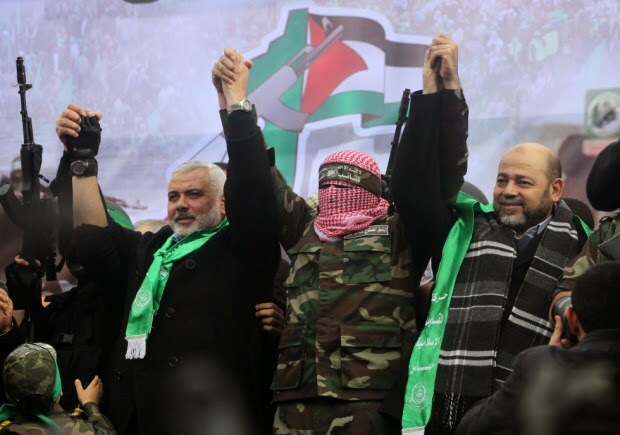 Hamas needed to be “demilitarised”, he said. Israeli foreign minister Avigdor Lieberman agreed: “As long as Hamas controls Gaza, we won’t be able to ensure the safety of Israel's citizens in the South and we won't be able to make a peace agreement.” Earlier during the latest invasion of Gaza, Lieberman recommended that Israel consider re-occupying Gaza to end rocket attacks. Palestinian statehood: A threat to Israel’s energy hegemony? Another Sherman endorser, Uzi Landau, who is currently minister of tourism, was minister for energy and water from 2009 to 2013. There he oversaw Israel’s resource policies, especially concerning gas discoveries and export options. In 2011, when the PA was bidding to secure formal UN recognition of Palestinian statehood, Landau told Israeli radio that Israel should unilaterally declare its sovereignty over the Jordan Valley, West Bank settlements, and all of Gaza to head off the bid. He had previously been dispatched by the foreign ministry to Chile, Colombia and Australia to lobby against the PA campaign. Why would Landau, then energy and water minister, be sent to lobby against Palestinian statehood? In recent years, Israel had made increasingly significant energy discoveries throwing light on the link. 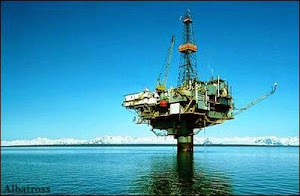 In December 2010, the Texas based energy company Noble energy announced that it had discovered 25 trillion cubic feet of gas in the offshore Leviathan field (downgraded more recently to 17 trillion). This followed the US Geological Survey’s (USGS) assessment earlier in the year of an estimated 122 trillion cubic feet of technically recoverable gas in the Levant basin, encompassing the waters of Israel, Syria, Lebanon, Cyprus and Gaza. This is “bigger than anything we have assessed in the United States,” said a USGS spokesperson at the time. The new discoveries would turn Israel into a gas-export powerhouse, with potentially transformative implications across the region. But there were potential pitfalls. Landau and his colleagues obviously took the report seriously enough that, according to Ha'aretz, they excluded the report’s findings from the committee determining Israel’s gas export policy. 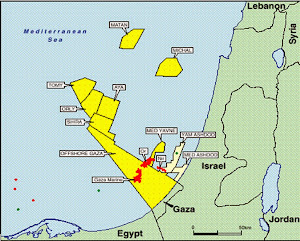 Complicating matters further, many of the recently discovered oil and gas resources Israel is claiming for itself are in disputed territorial waters where maritime boundaries are not clearly defined. In the summer of 2010, Landau said that Israel would “not hesitate to use force” to protect its offshore gas discoveries. He was responding to claims that Leviathan’s deposits extend into Lebanon’s territorial waters. Similarly, two offshore fields that Israel is already exploiting have been claimed by the Palestinian Authority to extend into Gaza's offshore territory – Mari-B, which is near depletion, and Noa North, both of which are being developed by Noble Energy. Gaza’s gas: The key to peace? In March 2014, just a few months before the IDF launched Operation Protective Edge in Gaza, the German Marshall Fund of the United States published a policy brief on Israel’s interests in Gaza’s gas fields by Simon Henderson, director of the Gulf and Energy Policy Program at the Washington Institute for Near East Policy (WINEP) in Washington DC. WINEP is notable for its influence amongst US foreign policymakers. Current and former WINEP members have had senior roles in successive US administrations, including Obama's, and its alumni have gone onto serve across various US government agencies on Middle East policy. International diplomatic interest further increased in 2013, with Quartet Middle East envoy Tony Blair and US secretary of state John Kerry seeing the Gaza Marine as integral to a potential peace package. In October 2013, Israeli officials conceded that the Israeli government was “very supportive” of the project. All this is corroborated by British Foreign Office files released under Freedom of Information. Gaza’s gas: The key to exports? But there is another dimension to the strategic significance of the Gaza Marine: Israel’s gas ambitions. This was alluded to by Ariel Ezrahi, senior energy adviser in Tony Blair’s Office of the Quartet Representative in east Jerusalem, who noted that the biggest obstacle to Israel becoming a regional gas exporter is the opposition of domestic Arab populations in Jordan, Egypt, Turkey and elsewhere. In other words, from the perspective of Israeli hawks and the entities of the Quartet – the US, EU, UN and Russia – the fundamental obstacle to both the proposed ‘peace package’ and Israel’s interests in becoming a regional energy hegemony, is the continued existence of Hamas in Gaza. In 2007, incumbent defence minister Ya’alon advised in an influential policy paper that there was only one way to solve this problem: “It is clear that without an overall military operation to uproot Hamas control of Gaza, no drilling work can take place without the consent of the radical Islamic movement.” Ya’alon is yet another Israeli government official who endorses Martin Sherman’s IISS initiative. Since then, successive Israeli military operations – including Operation Protective Edge – have aimed at degrading Hamas’ power in Gaza by making the entire civilian population of the strip pay the price. Through excessive military action to devastate Gaza’s critical infrastructure until much of the strip is virtually “uninhabitable,” Israel has successfully accelerated this process. Under the new ceasefire agreement with Hamas after the operation, Israel had secured even more Draconian powers to enforce its ongoing siege of Gaza. This included a partial military re-occupation by maintaining a 100 metre buffer zone inside Gaza; a joint Israeli, UN and PA committee to supervise the process for goods being permitted into Gaza; tight monitoring of imports of construction materials, as well as their use inside Gaza, to guarantee they would not be used by Hamas to build ‘terror tunnels’ and weapons; and on the table for discussion, Israel’s top priority was to make the total demilitarisation of Gaza a precondition for reconstruction and rehabilitation. Under this extraordinary scheme, Gaza will be under constant surveillance by Israeli drones, and the PA-UN supervisory committee will submit all details of homes needing rebuilding to an Israeli database for close monitoring and approval. Against this context, the decision by the EU General Court to remove Hamas from a list of terrorist groups along with the European Parliament’s new resolution recognising “in principle… Palestinian statehood and the two-state solution,” takes on new meaning. To move forward, what remains of the aborted Kerry-Quartet vision for ‘peace’ encompassing the exploitation of Gaza’s gas, requires Hamas’s military capabilities – already infinitesimal compared to Israeli’s $15.5 billion military budget – to be degraded to the point of being utterly negligible. The EU’s latest measures appear designed to incentivize the Palestinians and Hamas to comply with this vision of a pliable, demilitarised Gaza as a step toward a ‘two-state’ solution dominated and controlled by Israel: the carrot. Israel’s threat and use of force to smash Gaza into an uninhabitable no-man’s land, in which the US and the EU are complicit through extensive trade and military aid to Israel, is the stick.